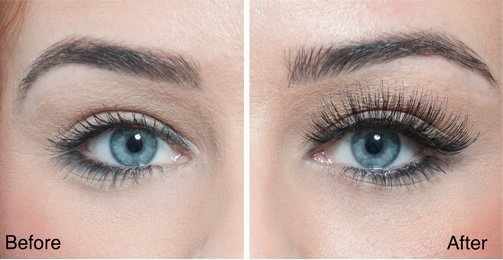 So why not dress them with natural looking 3D semi-permanent lashes. Our highly trained therapists will ensure your lash extensions are individually applied with no mess and no excess glue. We have a number of lengths: small, medium and large. Within each size range we use a size blending technique which gives your eyes the illusion of the lashes going from small (inner corner of eyes) to large (outer corner of eyes). You can either choose having a Hollywood glam look or the natural look, the choice is yours. After a few weeks of rocking your new nouveau lashes, you’ll need to give them a boost and revisit our Sheffield based salon for an infill. We recommend having an infill every 2-3 weeks. This way you can ensure you keep your lashes looking fuller for longer. Call our Sheffield Salon today to book your eyelash extensions! *** Important*** If you have not been to the salon before or it has been more than 3 months since your last lashes treatment, you will need to come in for a skin test at least 48 hours before your appointment. Please ensure this is done to avoid not being able to have the treatment done. Error: Error validating access token: Session has expired on Saturday, 09-Feb-19 12:14:55 PST. The current time is Tuesday, 16-Apr-19 08:05:47 PDT. Error: Error validating access token: Session has expired on Saturday, 09-Feb-19 12:14:55 PST. The current time is Tuesday, 16-Apr-19 08:05:48 PDT.